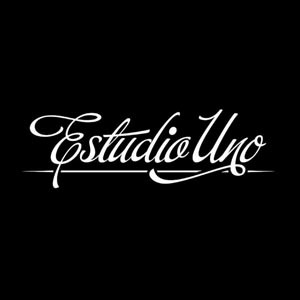 Estudio A is our main studio and the biggest one of our three rooms at Estudio Uno. Inside you can find a 70m2 comfortable control and a 100m2 live room with varied acoustics. It's the perfect place to record not only small projects but also bigger and more complex works such as orchestras or big bands. The control room is centred around our legendary SSL 4048 E+G console, with an efficient recall system kept in top condition. One of our studios' main priorities is to keep all the equipment in perfect working condition, and our main console is not an exception. The main monitor system at Estudio A is a pair Eastlake Customs but you can also work with Focal Twin 6 BE, Genelec 1031, Quested H108, Yamaha NS-10 or KRK 10S Subwoofer. Equipment is divided in 6 racks at both sides of the room. The left side has igh-quality preamps with different models of Neve, API, Telefunken, Focusrite and many others you can find in our detailed equipment list. On the right side, the other 3 racks combine compressors, EQs and effects, with brands like Teletronix, Urei, Tubetech, Avalon, Trident, Lexicon and many more. Estudio A's room benefits from a light reverb due to a stone wall but can be also cover with curtains to improve absorption. You can play with the different acoustic of the studios rooms thanks to our interconnection, so you can use Estudio A control with Estudio B room or even any other space. Any project becomes a luxury with rates designed to be accessable for all.